At Hasman we have a combined industry experience of over 40 years. We are committed to meeting our customers’ needs and supplying expert advice and know-how. Originally based in the south-east of England we have relocated our business to Liverpool and have invested in a large premise, allowing us to deliver the very best in industry training. We have a state of the art training facility that contains a large classroom, an operating theatre specification AHU, heat recovery ventilation unit, fire damper testing area, full kitchen extract system which includes a Halton UV canopy, fume cupboard LEV and over 50m of high level ductwork. This array of apparatus means we deliver an extensive training experience which attracts attention from all over the world. Hasman are an approved training centre for the Building Engineering Services Association (BESA) and are able to deliver their ventilation hygiene short courses. Ventilation Hygiene Apprenticeships will commence in 2018 and Hasman will be a training centre for this scheme. Information on these short courses may be found here. Hasman’s working partners notably includes Lifa Air, a worldwide leader in ventilation hygiene cleaning equipment and expertise. Lifa have a huge customer base and as a result have worked on many high level projects in all sectors of the markets; hospitals, pharmaceuticals, offshore rigs, cruise liners, aviation and domestic. Recent projects include the Queen Mary II luxury cruise liner, The Duma in Moscow and offshore projects in the U.A.E Gulf. Hasman and Lifa’s shared wealth of experience means that we are able to provide expert advice and solutions to suit our customers’ needs around the world. Hasman have recently delivered project support for customers in Cyprus, Malaysia, Belgium, the Netherlands and around the UK. 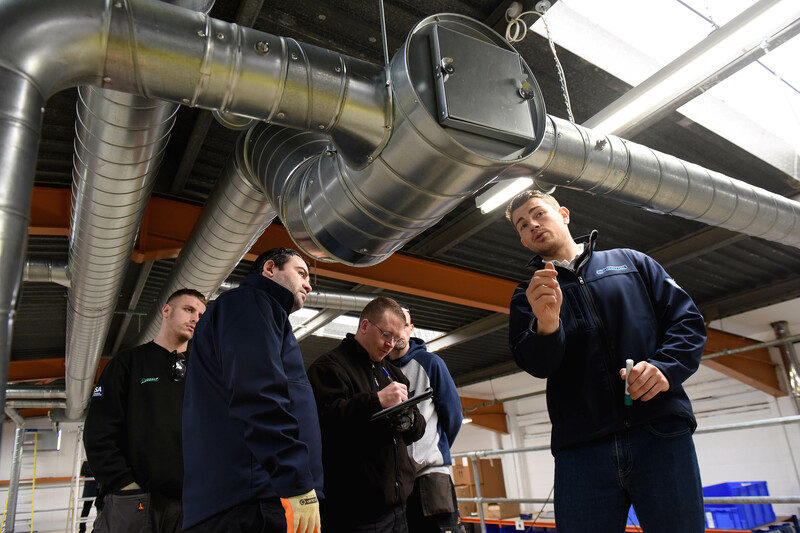 The European Ventilation Hygiene Association (EVHA) has used our Liverpool training centre to run European Ventilation Hygiene Technician courses and EVHA meetings. Hasman are active members within the EVHA who regularly meet to discuss development of the ductwork cleaning industry across Europe and the rest of the world. Hasman Ltd are authorised and regulated by the Financial Conduct Authority, firm registration number 777309.